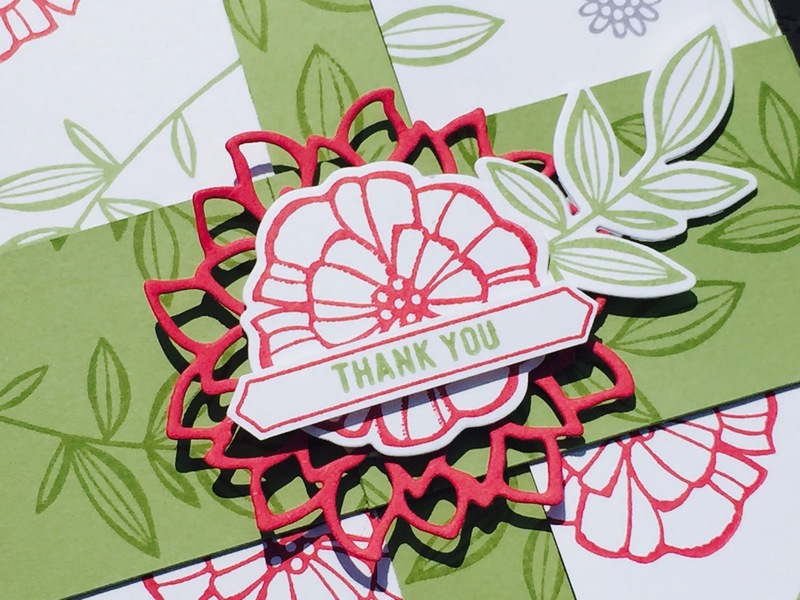 You all know that I love the new Falling Flowers Stamp set so when I was designing the packaging for this months Thank You gift it was the one I found myself reaching for again. Every month I send out a little thank you gift to everybody that has shopped with me the previous month. I use the hostess rewards to help me do this - read more about it all HERE. 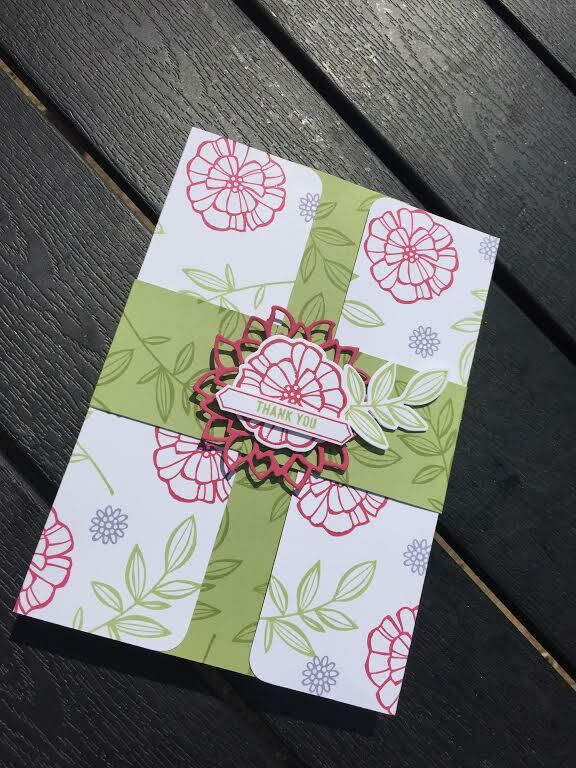 This month each customer recieved a hostess exclusive Stamp Set and a set of the gorgeous new enamel accents. The wrap I created uses Pear Pizzazz, Rose Red and a hint of Wisteria Wonder to create a handstamped DSP. I also took the opportunity to utilise the coordinating framelits, not only do they have match perfectly with the stamps, there a few extra dies to create these wonderful fancy cut outs. If you would like to see the set in a little more detail and exactly how I made the box - click HERE to view my video tutorial. I hope you enjoy it and if you recieved one of these sets, I hope you liked it too.